Mumbai, Jan 21 (PTI) Nawazuddin Siddiqui says he wants to stay away from controversies as they shift the focus of the audience from his work to personal life. The actor, who became a popular name post the success of 2012 film “Gangs of Wasseypur”, got embroiled in a controversy in 2017 after the release of his autobiography “An Ordinary Life”. In his memoir, co-written by Rituparna Chatterjee, Nawazuddin detailed his relationships and flings with former Miss India Niharika Singh and actor Sunita Rajwar allegedly without their consent. The actor later withdrew the book and apologised for hurting the sentiments of women whose name he had mentioned in the memoir. “I am just the same person. I am an actor and I just want to work. I just want to act. I don’t want to talk about anyone and what is happening in my personal life. I don’t want people to focus on that. 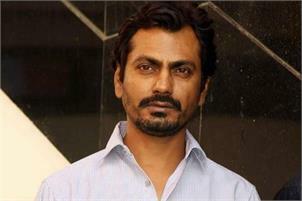 I am known and have become popular due to my work and so I just want to concentrate on my work,” Nawazuddin told PTI. There were also allegations against him that he hired a private detective to spy on his wife. “I do not feel bad. I just feel why focus on someone’s personal life. Celebrities are also human being. Everyone criticises celebrities for every little thing and that should not happen. They are normal human beings,” he added. When asked to remark upon the #MeToo allegations against filmmaker Rajkumar Hirani, Nawazuddin maintained a no comment stance. “I just don’t want to talk about it. Why unnecessary create it all again,” he said. The 44-year-old actor said he is afraid of controversies and wants to concentrate on his work. Nawazuddin will be seen next in “Thackeray”, which releases this Friday. His upcoming projects are “Motichoor Chaknachoor”, “Photograph” and “Roam Rome Mein”.